Fire Safety Equipment Emergency Tools Firefighter Safe Danger Accident Protection Vector Illustration. Royalty Free Klipartlar, Vektör Çizimler Ve Stok Çizim. Image 87759240. Stok Fotoğraf - Fire safety equipment emergency tools firefighter safe danger accident protection vector illustration. 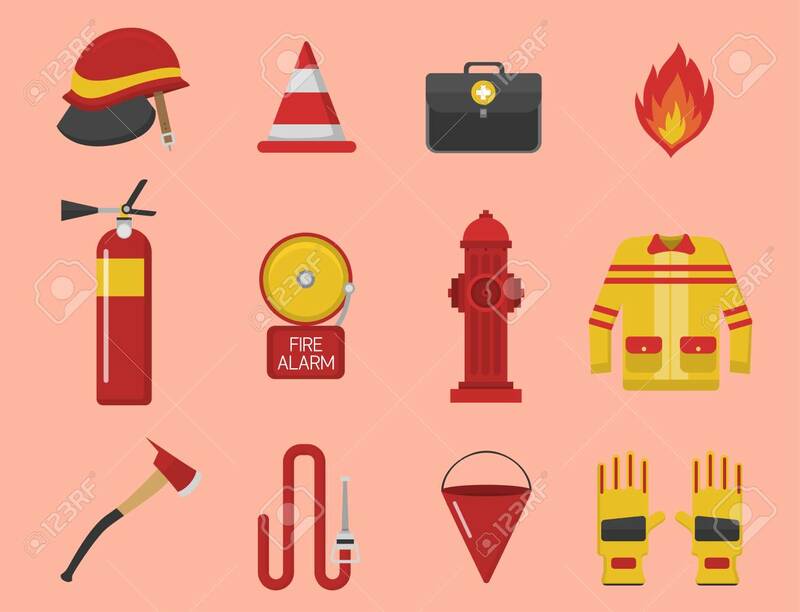 Fire safety equipment emergency tools firefighter safe danger accident protection vector illustration.